Since 2008, as each new year has rolled around, rather than making resolutions that I can't keep (or choose not to keep), I have selected a word to guide me. Each year, that one little word has provided me with a sort of framework to navigate the year, and then stays with me at year's end. 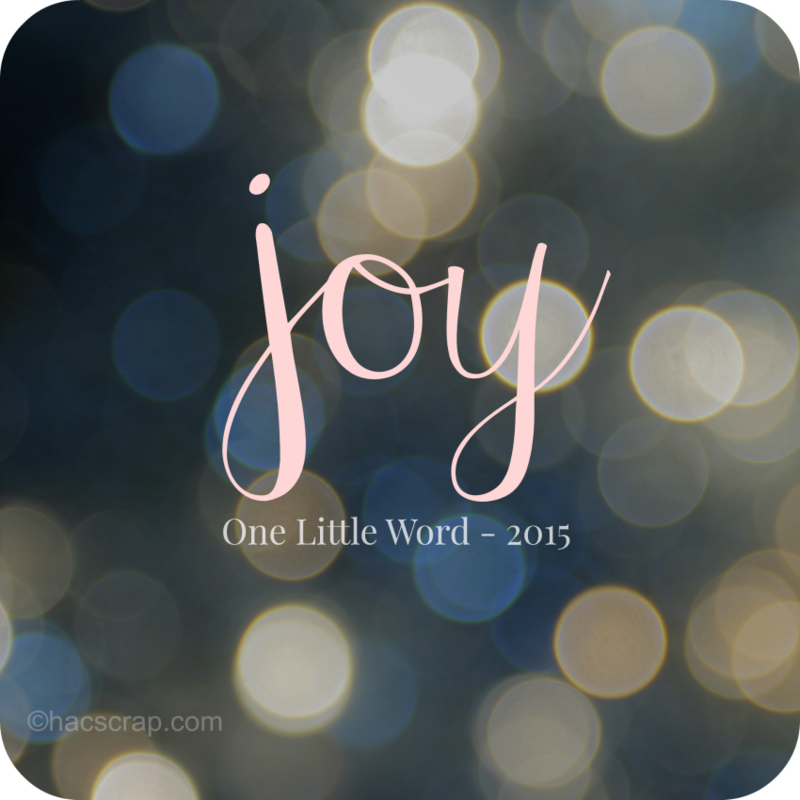 This year, my one little word is joy. Why joy you may wonder? Well, first of all, this was one of those years where my word chose me. I started my journey with essential oils almost 5 months ago, and one of my favorites was Young Living's Joy. The thought of diffusing that into my home and having everyone feel a little happier was too much for me to ignore. That was the first time I thought, "joy may be a good word for 2015." Next, while I was holiday shopping, I was constantly drawn to the word. . .Joy to the World after all. I had John search every Target in our area for the lighted marquee word JOY - no other holiday sentiment would do, it had to be JOY. Each evening as I gazed at those lighted letters up on my mantle, I began to feel open to letting more joy into my life. With my over-developed sense of right and wrong, I sometimes have a hard time seeing the joy and enjoying the moment. The boys are not babies any longer and I am in the middle part of my life - if now isn't the time to experience all the joy in my life, when is? So joy it is for 2015. Opening myself to joy - seeing it, experiencing it, feeling it, enjoying it and savoring it. My word for 2015 is CONTENT - hoping to gain more inner peace and personally happiness this year. Love it!! My word is YES but only YES to my children. Like "mommy will you read me this story" YES not "mommy can I have that $500 toy"